Our combination impingement microwave ovens are up to 15x faster than traditional methods. 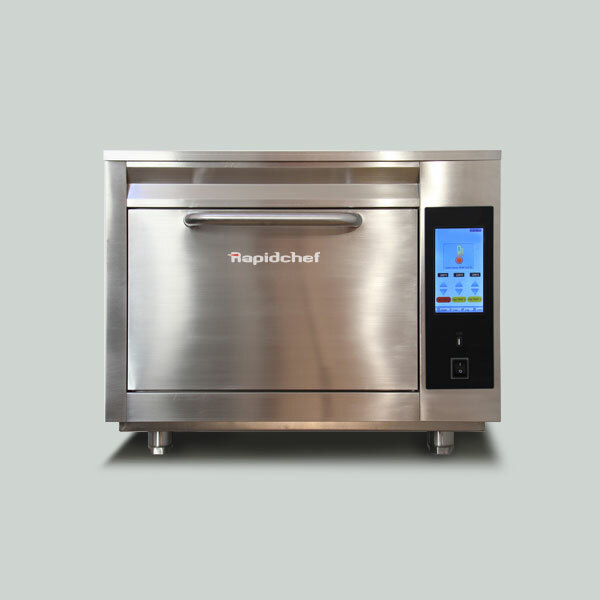 Rapidchef is the newest high speed oven in the market, if you’re an Indie coffee shop and you want to offer hot meals, a new Sandwich Bar serving ciabatta bread subs or a Gastro-Pub, Rapidchef will get you where you need to be – quickly. With Rapidchef there is no compromise on the speed of the cooking efficiencies, the design or the quality of engineering. All of which makes Rapidchef not only easy to use, but a reliable product that will cook faster and more consistently, producing exceptional quality results. Twelve month parts and labour warranty through over seventy service engineers nationwide. No compromise on quality at the best price – Rapidchef is built to the highest standards, built to last. 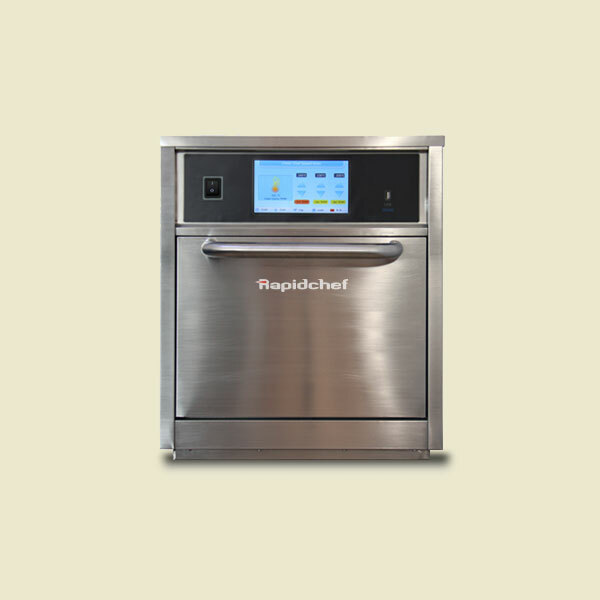 Rapidchef, different by design, reassuringly affordable. Our mid-range option, available in both 13amp and 32amp. RC 3.6E offers up to 6 x faster cook times over a traditional oven. RC 3.6S offers up to 15 x faster cook times over a traditional oven. Uses forced convection, high-speed hot air impingement, top-launched double microwave system, double heater system, catalytic converter and smart menu system to cook food rapidly without compromising quality. Our highest spec option, with a largest cooking chamber. Offers up to 15 x faster cook times over a traditional oven. Top-launched double microwave system, double heater system, distinctive design of locking moisture and precise temperature control to ensure the quality and taste with high rate of moisture and nutrition. Catalytic Converter and smart menu system to cook food rapidly, no need for ventilation and smoke extraction system. Contamination and taint of odor are prevented while cooking different foods.